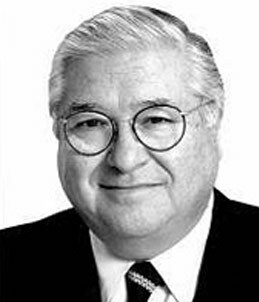 Herman Gallegos provided active leadership in a wide variety of community, corporate and philanthropic affairs spanning local, national and international interests. He is a graduate of California State University, San Jose, earned his MSW from U.C. Berkeley, and in 2002, received a Doctor of Humane Letters degree from the University of San Francisco. Gallegos was born in the small mining town of Aguilar, Colorado, and moved to San Francisco at an early age. As a pioneer civil rights activist in the early 1950s, Gallegos was a leader in the formation of the Community Service Organization (CSO), a civil rights-advocacy group organized to promote the empowerment and well-being of Latinos in California. This new power base contributed mightily to the passage of new civil rights legislation and laid the base for the election of Latinos to political office. In 1965, while serving as a Consultant to the Ford Foundation’s National Affairs Program, Gallegos, with Dr. Julian Samora and Dr. Ernesto Galarza, made an assessment with recommendations on how the foundation might initiate support to address the critical needs of the rapidly growing Latino population in the United States. As a result, he was asked to organize a new conduit for such funds – the Southwest Council of La Raza, now the National Council of La Raza. Gallegos went on to become the council’s founding executive director. Gallegos also served as CEO of several business firms, including the U. S. Human Resources Corporation and Gallegos Institutional Investors Corporation. He became one of the first Latinos elected to the boards of publicly traded corporations and the boards of preeminent private and publicly supported philanthropic organizations. He served as director for Pacific Telephone and Telegraph Company in 1974 and Pacific Telesis, an SBC Corporation, now AT&T. Other corporate boards he was a part of include UnionBanCal, Union Bank of California; the Student Loan and Marketing Association by Presidential appointment (Jimmy Carter); and Broadcast Advisory Group, Hallmark Cards, Inc.